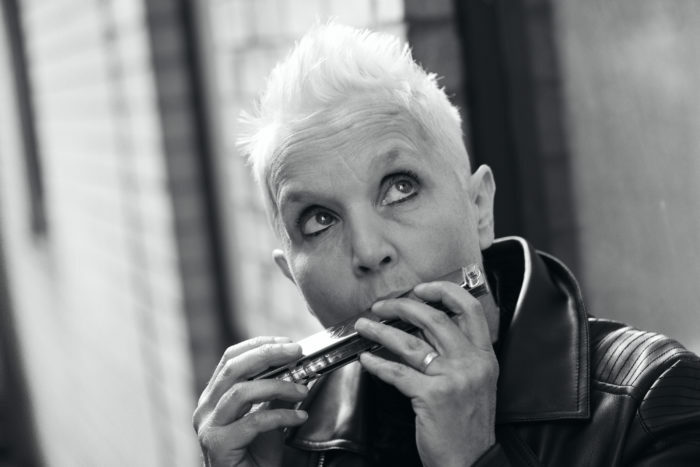 Anni Hogan was Marc Almonds key collaborator after Soft Cell and during the Marc & the Mambas, the Willing Sinners and La Magia years. To my mind she seemed to have always been there when Almond was at his absolute best; his most extreme and passionate, making the “attempted suicide put on vinyl” of Torment and Toreros for example. Hogan, who dropped the ‘e’ on her first name to avoid confusion with another conceptual artist called Annie, is something of an unsung heroine of Torch Song and Dark Art-pop. She also worked with The The’s Matt Johnson and Barry Adamson as well as bringing out music as Cactus Rain. Her back-catalogue contains some real gems including rare collaborations with Nick Cave and Marc Almond on the Kickabye album from 1985. She could no doubt tell us some great stories about the debauchery of the Batcave era I imagine (but chooses to do it in-song) ….. but if ever a picture paints a thousand words then it is the photo portrait of her by Mike L Morton taken in the Eighties (above) . A classic shot, taken in daylight, but drained of colour, riverside, probably nursing a hangover from the previous night and sucking hard on a what is possibly a cigarette. 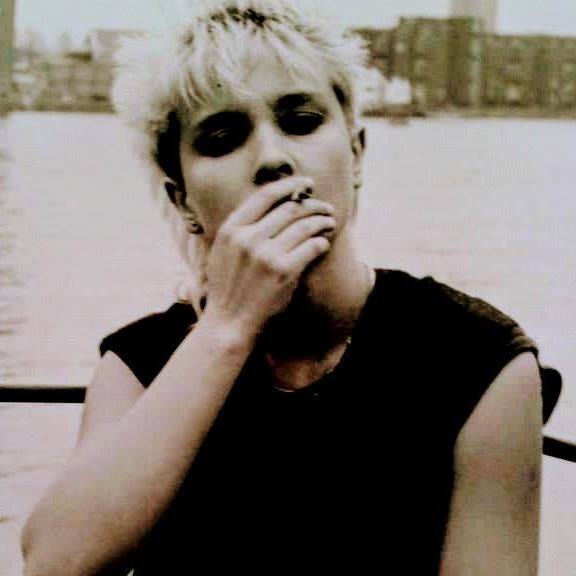 She has the definitive look of a 1983, cool, young gothic-punk outsider; black t-shirt, peroxide hair, panda eyes and cigarette. (She had momentarily mislaid her sunglasses.) Not for her the regulation raven-haired Siouxsie look of the time, but Born-Blonde downbeat-glamour. I just love that picture. That was then and this is now. Anni is a respected composer, musician, producer and multi-media artist and about to release a career-topping album with a little help from some friends. An all-star cast of talented reprobates indeed. Here is the first taste of what to expect, released on the 23rd of November 2018, Lydia Lunch on ‘Blue Contempt’, produced by Dave Ball (Soft Cell) and Riccardo Mulhall, and is accompanied by a stunning video directed by Jasmine Hirst. Lydia is at her most sensual and sounds almost uncharacteristically vulnerable and loaded down by ennui. Her creaking vocal is set against a beautiful piano background and it could almost be an update of the Queen of Siam’s Gloomy Sunday. And for old times sake, and for a look back at Marc in his Johnny Thunders phase sartorially and Anni’s fabulous big hair… here is an old favourite. Wallow deep gutterhearts! All words by Ged Babey.